The Medical Laboratories of the Reinier de Graaf Hospital, based in the picturesque city of Delft, are major suppliers of medical diagnostic services in the Netherlands. As well as providing routine services for the hospital – including clinical chemistry, hematology, blood banking, immunology, pharmacy and microbiology – the laboratory is a renowned Dutch reference laboratory that offers sophisticated diagnostic services to other medical laboratories, universities, the food industry and organizations such as the Netherlands Forensic Institute. 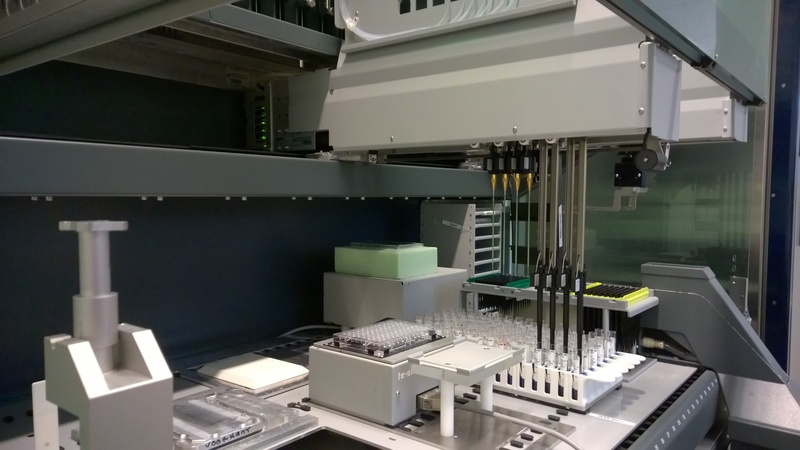 The flexible nature of the Freedom EVO enables the laboratory to perform a wide range of individual sample processing steps. The Freedom EVO workstation is clearly a very versatile system. Frans continued: “We didn’t have any previous experience with automated liquid handling systems, and so looked at the various instruments on the market. Because the pre-analytical procedures for each assay vary significantly, we needed a very flexible platform that would be able to accommodate these individual sample preparation protocols. The Freedom EVO workstation is clearly a very versatile system, and its open architecture also provided the opportunity to integrate several devices already being used with our manual techniques onto the platform."